1.If it’s Original Shinecon 6.0? We promise all of our product in our sotre is original and brand new ! We make In-depth cooperation with shinecon more than 3 years ! 2.What’s shinecon 6.0 3d glasses ? 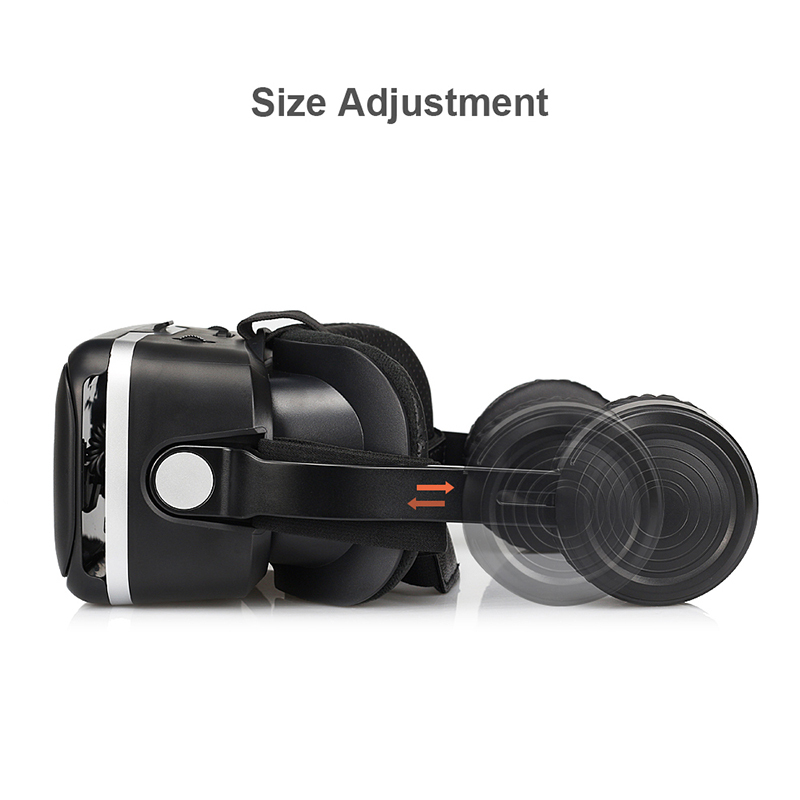 3D glasses is a kind of device help us enjoy 3D movie / game with our phone . 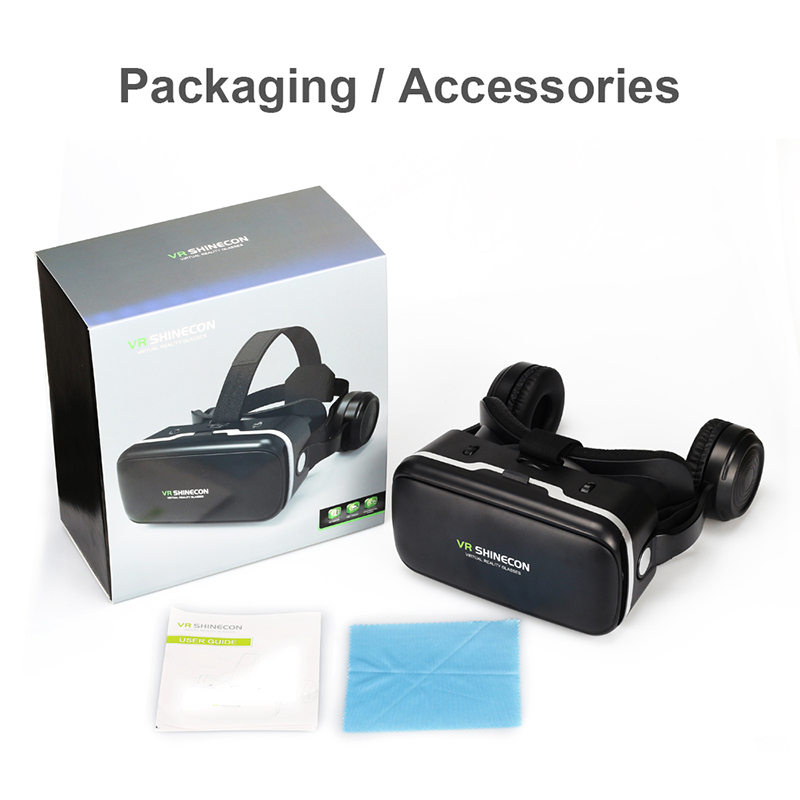 shinecon is one of the best brand in china , the lenses and the structure is very good ! 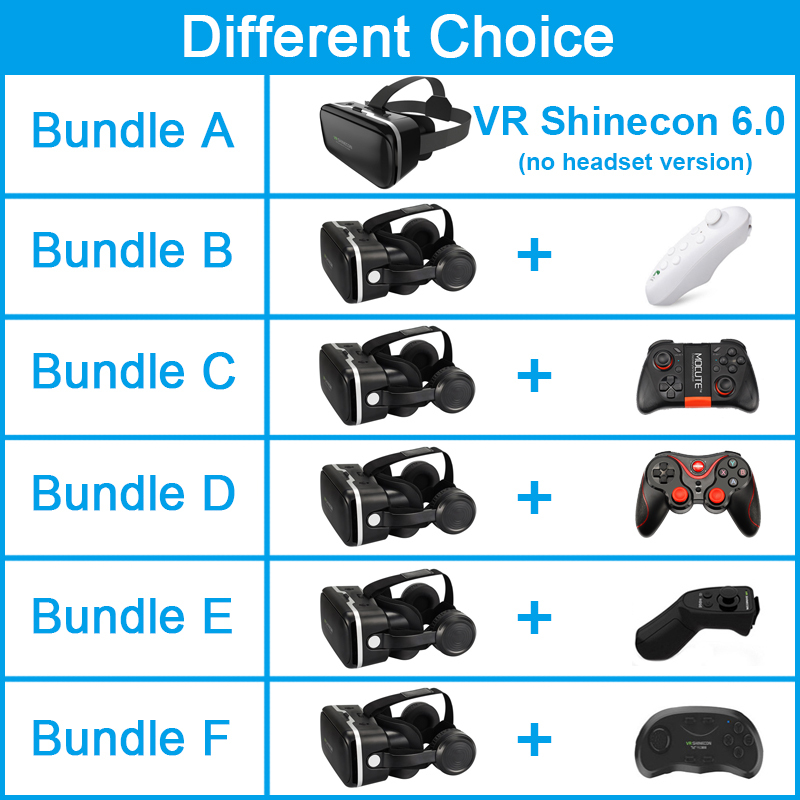 shinecon 6.0 is almost the same as bobovr z4 , with stereo headphone . 3.What kind of phone works with item ? Works for all 4′-6′ smartphone ,Width less than 82mm, length less than 160mm, thickness no more than 10mm . 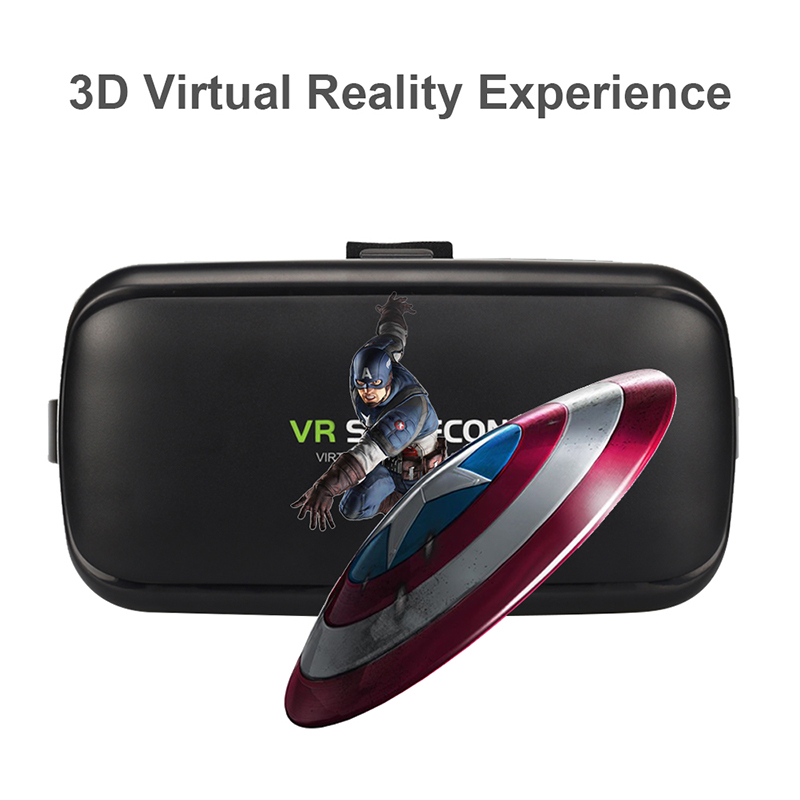 Download the vr app (if you can’t find vr app , please contact us ) to your phone , open the 3d video , then put your phone into the vr box , adjust the lenses , you can enjoy the 3D movie . 5.What’s the FOV of item ? 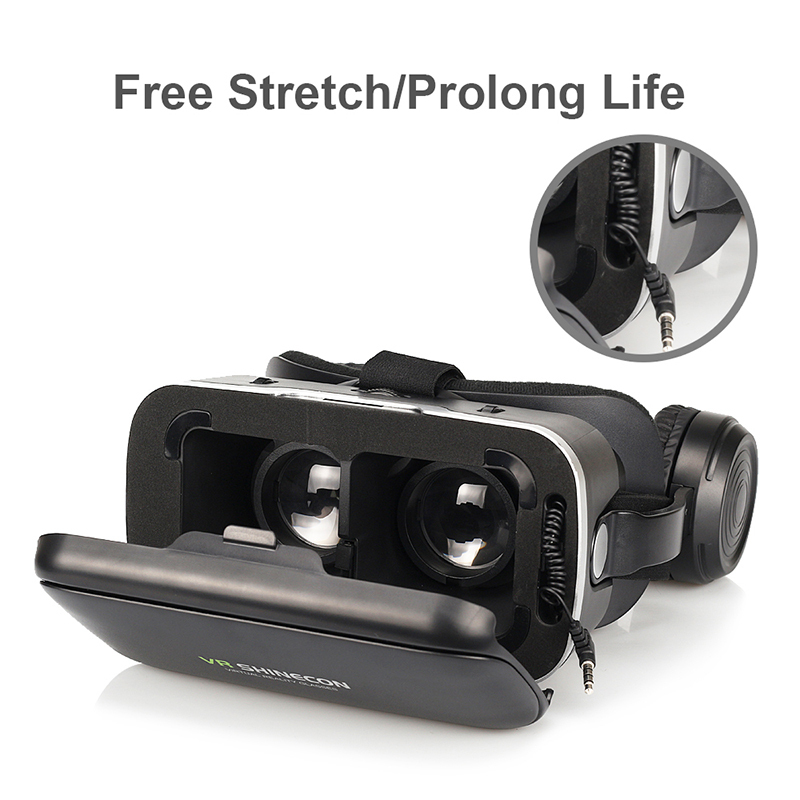 110 degrees FOV large field of view, with 42mm focus showing a real view , make you enjoy your private cinema . 6.It’s headphone is stereo ? 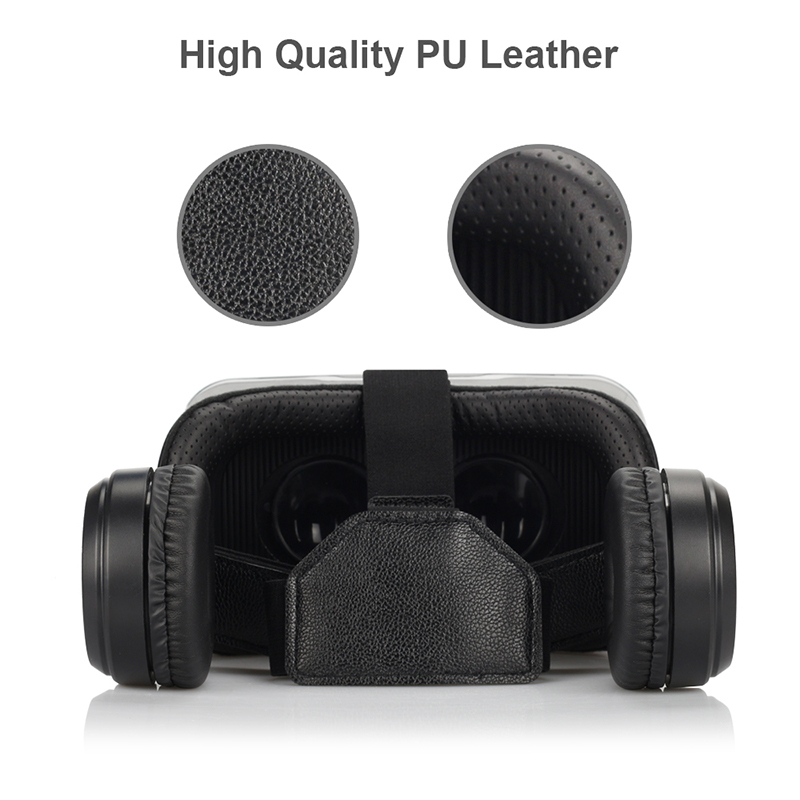 Yes, Powerful & Stereo sound ! 40mm diaphragm adopts PET material . 7.What’s the buttons on the bottom use for ? 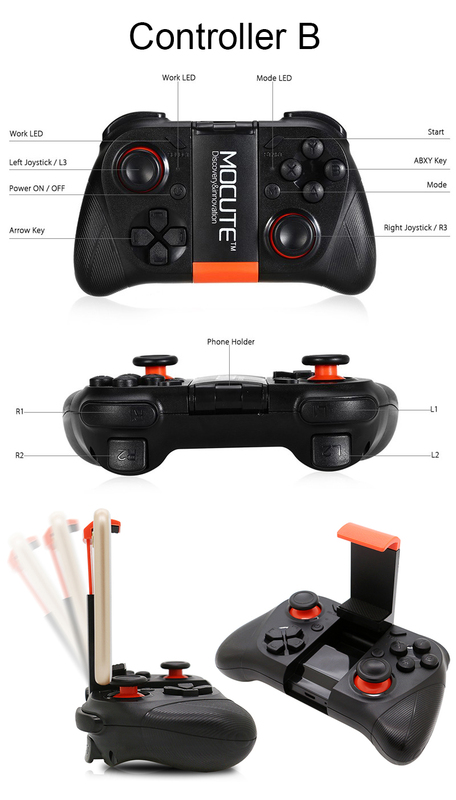 There are 4 buttons : Play/Stop , Vol-, Vol+ , Screen touch button , when you connect your phone with g04e , you can use this button to control the phone , the screen touch button need the app support . Yes , Suitable for people within 0 – 600 degrees myopia . 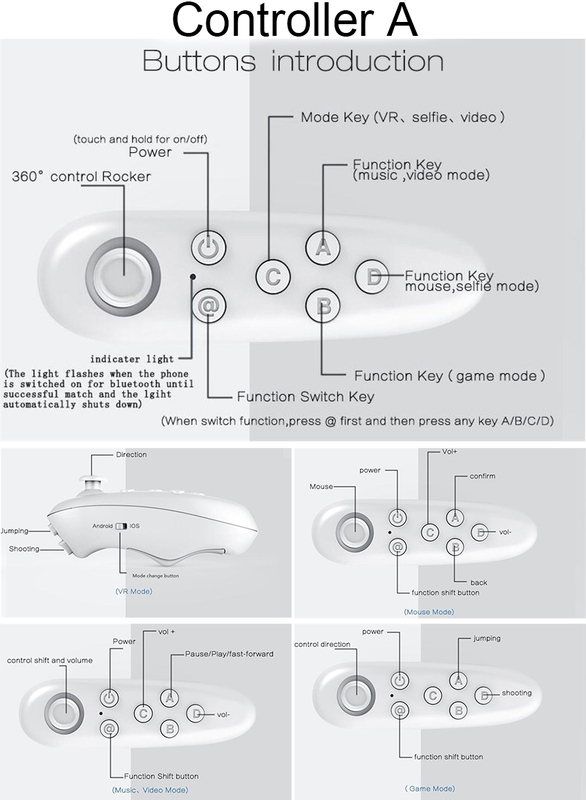 Adjustable pupil fit for different users , it means that if you are myopia or hyperopia , you can use it without wearing glasses . 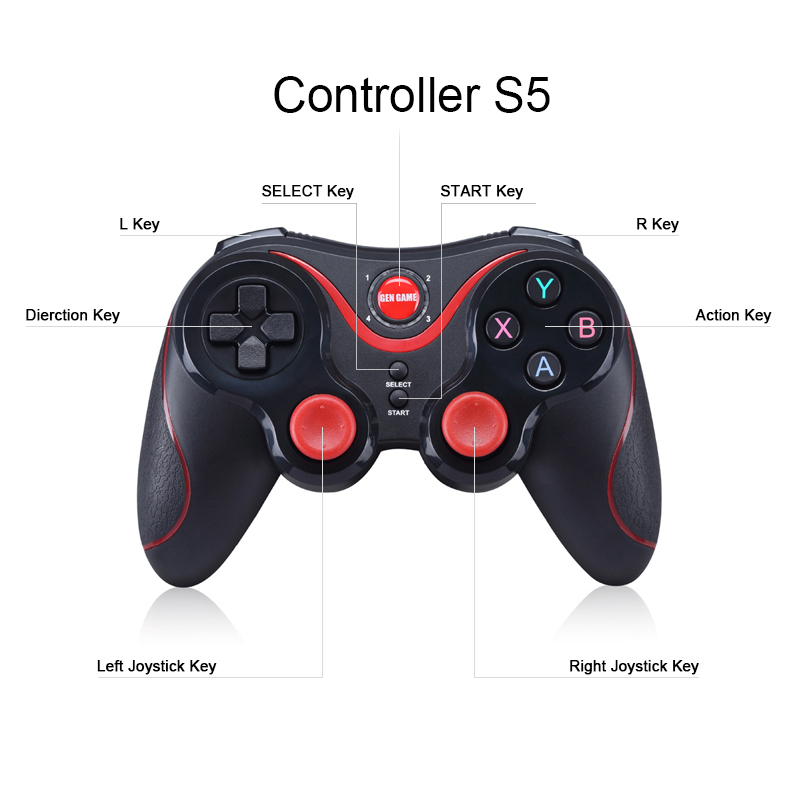 9.The remote controller can play games ? 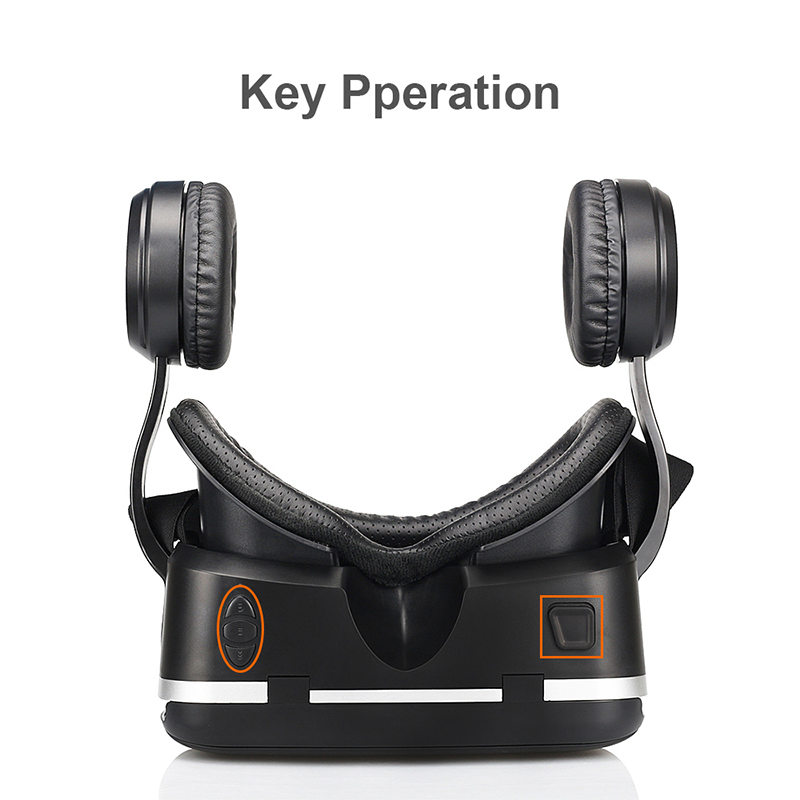 The remote controller can play the normal android games and a few vr games , because most of vr game will use the Gyro of your phone to play . about the ios system , it is a closed system , any gamepad can not control the ios completely , we just can play/stop/vol+/vol- on ios system . It comes with original box .